The odds are extremely high that children with anxiety disorders will have a parent with similar or even identical disorders. Researchers from Johns Hopkins Children’s Center studied a number of parent-child pairs to look at the association of risk for developing an anxiety disorder if a parent struggled with one, and the findings did show a definitive link. In fact, the results (of studying the parent-child pairs) found as many as one in five kids will suffer from an anxiety disorder with it usually going unrecognized. Social anxiety was the most prevalent type of anxiety experienced. Researchers were able to identify a subset of behavior in parents with social anxiety disorder and in doing this, were able to clear up some of the confusion that has surrounded the “trickle-down” anxiety seen in parent-child pairs. Some of these behaviors involved a complete lack of or inadequate warmth and affection, as well as elevated amounts of criticism and doubt aimed at the child. Researchers noted that these types of behaviors were shown to increase anxiety in children, and if continued on a regular basis, would make it more likely for children to develop a full-blown anxiety disorder of their own. Researchers say that anxiety is the result of a multi-layered correlation between genes and environment. While there’s not a lot that can be done about your child’s genetic makeup, there are things you can do to help control or prevent anxiety for your children, particularly if you personally struggle with anxiety. 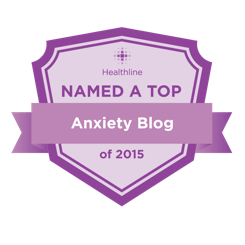 Read more > Is Child Anxiety Inherited From a Parent? Kids look to their parents for information about how to interpret confusing circumstances, so if a parent consistently seems anxious and fearful regarding certain situations, then the child will come to know those settings as “unsafe.” Anxious parents may be obsessively observant to things like threat and danger. They may also respond with alarm and become upset quite easily, even avoiding difficult tasks. Consequently, their children notice these behaviors and may learn to be more guarded, draw connections or associations to certain things with danger, and stay away from perceived threats. You might be unintentionally communicating your own stress and anxiety to your child. Generally speaking, anxious parents may inadvertently be overprotective and controlling because they want to protect their children from fear-producing situations. Or, maybe they empathize with their child’s struggles because they have experienced or are experiencing anxiety personally. But, when parents are too restraining and confining of their child, they run the risk of the child losing the natural ability to learn crucial coping strategies to be able to handle their anxiety, as well as hindering her development of self-reliance tools. With the best of intentions at heart to care for and protect their child, parents are actually supporting their child’s anxiety, not really their child. Giving mixed messages with statements like, “Do you want to do x, y, or z? You don’t have to if you don’t want to,” are confusing for the child, and communicate affirmation of the child’s fears and reinforcement that her particular fear is justified. Even in the midst of your own anxiety, if you start to notice your child exhibiting anxious behaviors, don’t feel guilty. It’s not an inevitable thing that’s absolutely going to happen. Put some strategies into place now to ensure you don’t pass on any of your own anxiety to your children. These strategies involve you learning how to manage your own stress as effectively as possible, as well as being able to identify and handle your child’s stress. These things can be difficult to do if you are trying to manage your own anxiety on your own. Seek guidance from a trained mental health professional, who can help you learn ways to better tolerate stress, which you can also use to help teach your child to better deal with her own fears and stressors. Then, model these strategies for your child. Do your best to implement the strategies you have learned in therapy in front of your child, keeping your composure even as you are working through your own anxiety. It isn’t healthy or realistic for you to think you can constantly suppress your emotions in front of your child all the time. So, don’t. It’s helpful for your child to see you handle your stress in a healthy way. Take the time to explain to your child what happened and why you reacted in the way you did. This helps her feel like it’s accepted and normal to feel feelings, including stress and anxiety, and to be able to manage those feelings appropriately. Just as you would help your child come up with a plan to manage her stress triggers, formulate your own plan for managing specific situations and instances that trigger your own stress. This could actually be an activity that you choose to do with your child, discussing how you both can apply techniques to better deal with certain issues you encounter on a regular basis. Be aware of the situations that cause you to feel stress and be mindful to approach the specific setting so as not to make your child feel unsafe or associate the scenario with it being unsafe. An example of this is you feeling separation anxiety at school drop-offs or before play dates at a friend’s house. You don’t want to transfer your anxiety to your child so that she thinks there is something scary or threatening about dropping her off at school or a friend’s house. Know when you’re becoming overwhelmed with anxiety in the presence of your child, and try to disengage from the trigger as soon as possible, engaging in some of the tools you’ve discussed previously with a therapist, or by implementing one of your strategies from your stress-management plan. It can be difficult to struggle with your own anxiety while working with your child to help prevent hers. Seek out support from people in your life when it seems to be tremendously overwhelming for you. Be open with therapists, friends, and family when you need to reach out for support, realizing that you don’t have to work through this process alone. Wow you did a really good job writing this. I have already begun seeing signs of anxiety in my little boy, and that makes me worry even more. I always had a hard time being separated from him. He very instantly models the expressions on my face in almost every situation. I think that taking steps like these should help us both. You provide a great service, thank you.